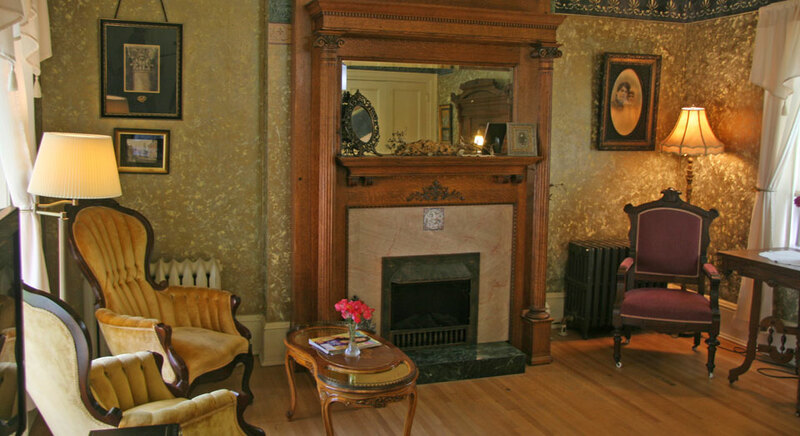 Had a great stay at Brumder Mansion; the room, breakfasts and special touches were all terrific! Anita was a great hostess and we really enjoyed our stay! Anita & Matt from Iowa. What a spectacular place to spend the night in Milwaukee! This stay is part of the “Twins Adventure”. Very quiet, excellent breakfast in beautiful surroundings. Took many photos to share… Thank you for the hospitality. Our stay @ Brumder was excellent! The atmosphere, decor & the warm & friendly personality of Tonja was much appreciated! We will be back! This is a Mother’s Day to Remember. Thanks for the hospitality! My mother and I had a very wonderful stay! 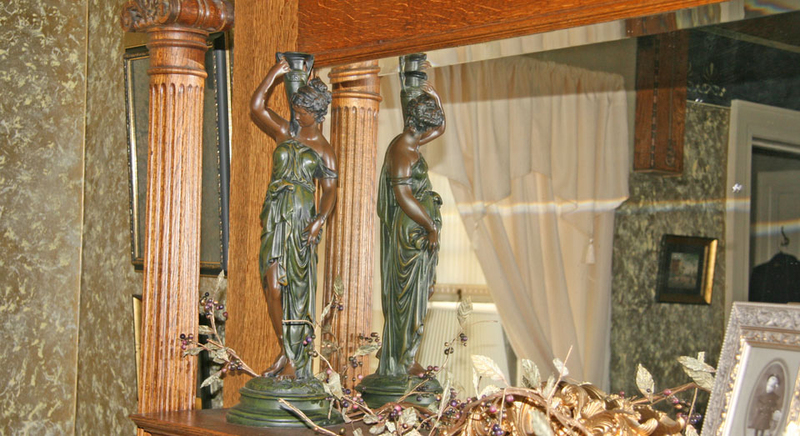 We especially loved all the old books we came across, along with the decor of the Mansion. Perhaps our absolute favorite was the murder mystery play. It was very intriguing and won’t be forgotten. You will see us again very soon I hope. Nice local getaway for me and my hubby! Loved the whole experience! Thanks Tonja for your hospitality! 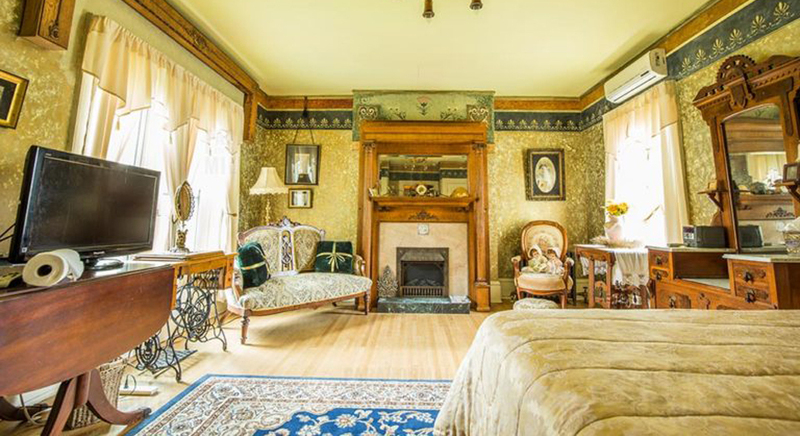 This sunny suite is named for the gold and yellow decor. 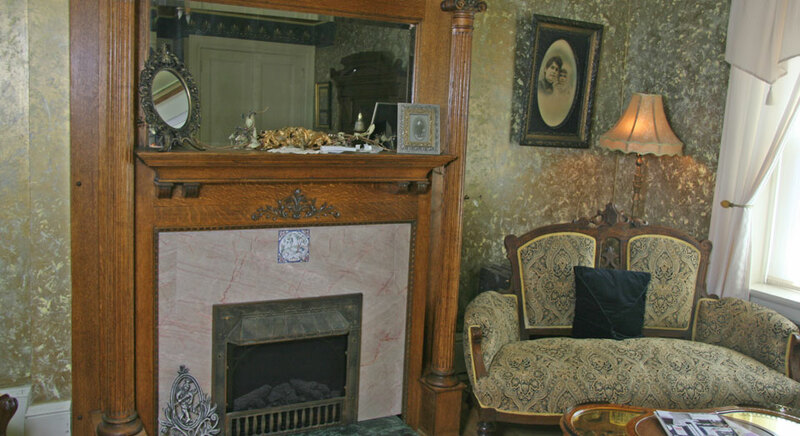 A Victorian parlor set nestles under the rich draperies next to a tall oak ornamental fireplace with fluted columns. 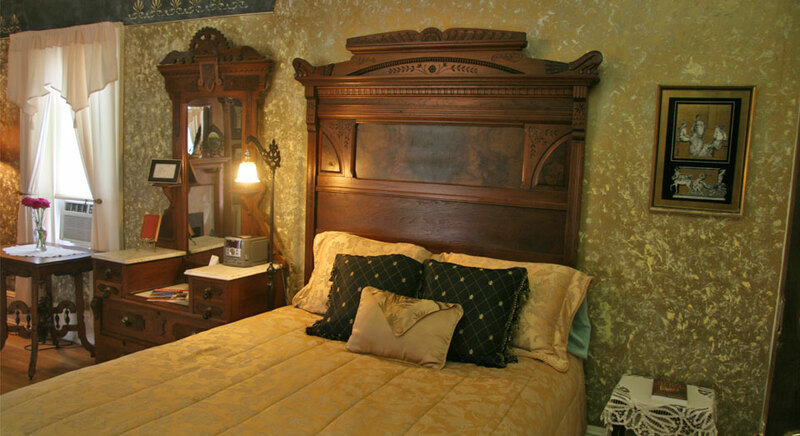 Lie back on the queen-sized antique bed and catch a glimpse of the past from antique photo albums. Leaf through a turn of the century book on etiquette or courtship.